The topline of today’s news: General Motors in Trump’s crosshairs; Warner Bros Chair Kevin Tsujihara’s #metoo moment; Sephora and Ulta buck brick-and-mortar retail slowdown. Here’s the latest…. General Motors showed no signs of caving to President Trump on Monday, releasing a statement that made no mention of reversing a decision to close an Ohio manufacturing plant. Trump had tweeted over the weekend that “G.M. MUST ACT QUICKLY” and find a way to keep the factory open. Warner Bros. Entertainment Chairman Kevin Tsujihara has resigned as head of the film studio following reports that he sought movie roles for an actress with whom he was romantically involved. Brick-and-mortar stores are declining. But in the makeup world, two chains, Ulta and Sephora, are booming. Apple is releasing two new iPads. Instead of throwing a big, choreographed event to announcing them, the tech giant took a more subdued approach. In Hollywood, a war is brewing between writers and their own agents. What asset could soar 1,000% in value over 12 years? A mint 1939 Ted Williams rookie baseball card. As the fallout from the Boeing 737 Max crash continues, it seems unlikely that Airbus, Boeing’s biggest competitor, will be able to win over customers. 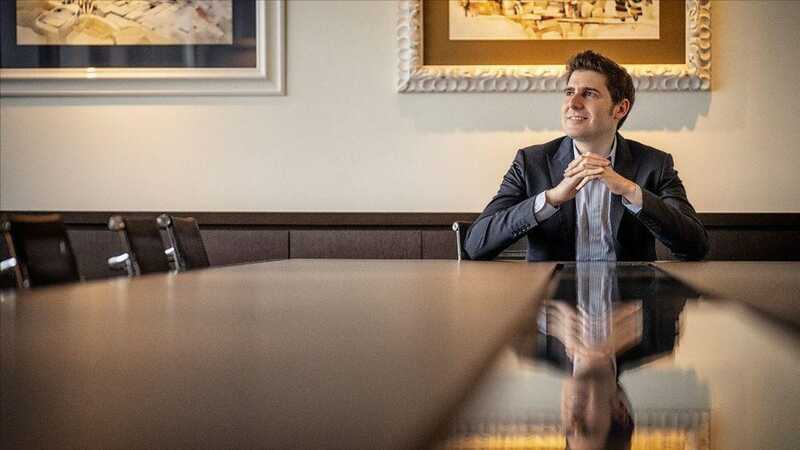 Eduardo Saverin is most famous for two things: cofounding Facebook and leaving America for Singapore. What’s gotten a lot less attention is his increasingly sprawling $360 million venture capital business. How’d our writers crack open the story behind a secret Trump windfall? Here’s the behind-the-scenes story. Nidhi Kapur wants to change the furniture business with cheaper, chicer pieces sold directly to consumers. Meet Stephen Ross, the billionaire creator of Hudson Yards, New York City’s newest neighborhood.